When you consider that online sales still make up a small percentage of total retail sales in the US (13%), e-commerce remains a nascent industry, and there is still a great opportunity for merchants to make their mark online (Source). Wading into the world of e-commerce can be an intimidating experience when just getting started. We intend to demystify the process of what it means to begin selling online. When we think of shopping carts, we often think about the version in the analog world. The ones made of plastic, or metal, with 4 caster wheels, into which you put products when you are shopping in a brick and mortar store. In the online world, the shopping cart is the software that facilitates the purchase of products and services. In its narrowest definition, this can mean the series of screens that accepts a user's payment information. However, more broadly, it encompasses all of the screens that a visitor users to do their shopping online. Browsing for products, by navigating through different categories. Viewing the details of specific products. And ultimately selecting products to purchase. Shopping carts are important because they bridge the gap between shopping and buying. This dictates the overall shopping “experience” for the user. That is why it is very important to have a robust cart set-up on your site. Popular shopping cart software include: Magento, Shopify, Volusion, X-cart, and Woo Commerce. Transmit transaction information to a bank that accepts credit card transactions for a cardholder. Transmit responses (such as whether a transaction is approved or declined) from the bank or financial institution that grants credit cards or lines of credit. Security is an integral component of all payment gateways, as credit card data must be protected from fraud. The credit card companies / associations have developed a set of rules and standards - the Payment Card Industry Data Security Standard (PCI-DSS, or PCI for short) - which must be followed by anyone with access to credit card information. Popular payment gateways include: 2CheckOut, Amazon Payments, Authorize.net, PayPal Payments Pro, and Stripe. The merchant account is a special type of bank account that allows online and brick and mortar business to accept credit card payments. Credit card companies do not contract directly with merchants (i.e. you). A merchant account provider, then, essentially acts as a middleman connecting your business to the credit card companies. Businesses can opt to work with a single merchant provider to set up the payment gateway and merchant account, or they can contract with separate provides for each feature indecently. Oftentimes, the best place to start - when thinking about establishing an ecommerce presence - is with the bank, or financial institution, with which you already have a relationship. In the interest of illustration, we have outlined in detail below, how electronic payment processing actually works. The customer uses a series of front-end web pages to initiate the payment process. The customer must first choose what it is that they are paying for (i.e. product, event registration, donation, etc.). There are many ways for a payment to be initiated, but most often this happens through a "shopping cart". The user then moves through a "checkout" process during which they submit their credit card information for payment. The credit card information collected as part of step 1 (i.e. card number, expiration date, security code, and address) is passed along, securely, to the payment gateway. The payment gateway manages the complex routing of the data on behalf of the merchant through the subsequent steps/entities. Meaning, it handles the actual backend communications and transactions, contacting the banks, reporting back on the results, and moving the money between accounts. 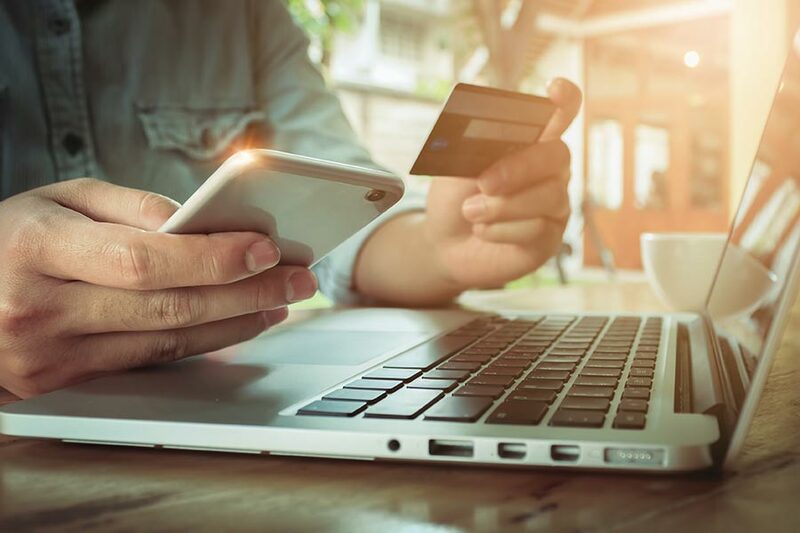 The payment gateway passes the transaction information - again, via a secure connection - to the payment processor. The Merchant Bank's Processor submits the transaction to the credit card network (i.e. Visa, or MasterCard). The credit card network routes the transaction to the bank that issued the credit card to the customer. This is where the user's balance is checked to see if funds are available for the amount requested. There are also a series of fraud-prevention mechanisms that can be leveraged (i.e. making sure the address, name or credit card CSV code match), depending on the payment gateway selected. The issuing bank approves or declines the transaction based on the customer's available funds and passes the transaction results back to the credit card network. The credit card network relays the transaction results to the merchant bank's processor. The processor relays the transaction results to the payment gateway. The payment gateway stores the transaction results and sends them to the website for the customer and merchant to see. With the payment successfully processed, the visitor is notified that their payment was accepted. Generally speaking this happens both via a visual confirmation screen on the web site from which the order was placed, as well as a receipt that is sent to the customer via email. The merchant fulfills the order and delivers the goods and/or services to the buyer. The issuing bank sends the appropriate funds for the transaction to the credit card network, which passes the funds to the merchant's bank. These funds are transferred from the credit card company to a type of specialized bank account called a Merchant Account. A Merchant Account does nothing but hold credit card payments, but you can’t accept credit cards without one. Even if you have one for accepting credit card payments by phone, you may need a different one for online payments. You can open your own Merchant Account, or use a vendor’s. For instance, if you accept payments via PayPal, you are relying on PayPal’s Merchant Account. Last, but not least, the money needs to be moved from the merchant account to your bank account. This is called 'settlement', and typically the transaction funds are deposited into the merchant's primary bank account within two to four business days. * Note, portions of this article were sourced from documentation from authorize.net.